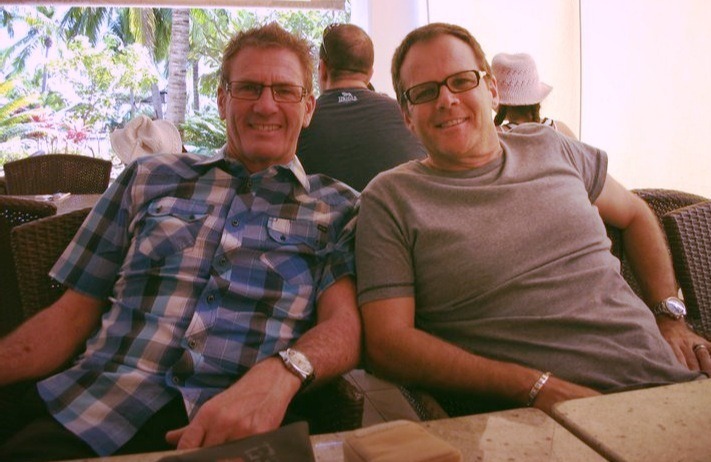 On Tuesday, I officiated the funeral of one of my best mates and a fellow pastor, Bruce. I also closely witnessed his last few weeks on this earth. And it truly was – he had a tremendous peace and unwavering faith. I remember sitting there with him contemplating the terminal illness Bruce had and hoping other people I loved didn’t have to face what he was facing. I realise now we all have what he had: mortality. Most people live this life like it will never end and prepare for the next life like it will never begin, but it comes to all of us whether we prepare or not. We are all terminal but we are also all eternal. This life on earth is short so we need to make it count by being present, by loving, being grateful for the little things, and forgiving. Talk to people about what matters, not what is the matter with life. Bruce taught me that “this side” is so fragile and short and because of that, it is so precious. Like many valuable things, life’s value is derived from the fact it is in limited supply. Whether you like to think about it or not, we are all living in temporary accommodation, our skin gets a little more creased and our hair a little more grey or a little less full stop. It’s a confronting reminder that sooner or later, we will all be evicted from our bodies. The question this raises is, what’s on the other side? I appreciate that it’s hard for us to imagine the other side. Some people just decide that there is nothing over there. But you do have to wonder why the rumours of the other side stay so persistent. And so the human race wonders. As a Christian, I believe that Jesus Christ has defeated the sting or darkness of death so that we can have real life today and eternal life on “the other side”. I believe that God has made a way for us to be with Him forever through faith in Jesus Christ. From this side, for us, death can be a time of sorrow, loss and of separation. But from the other side, for people like Bruce, it is a time of release, reunion, rest and reward. It is the beginning of a bright new eternal life. Heaven is a reality where there is no pain, no tears, and no sorrow. Gone will be the nights filled with terror, fear and violence. Hunger and thirst, not even a memory. Heaven will be a place of endless joy. This one’s for you buddy, my mate Bruce, on the other side. Wow! What a hard week. To love and lose someone so special. It never ceases to amaze me how much pain and love the human heart can hold in such small increments of time from one emotion to another. How can I not believe in Heaven we are so wonderfully held together by such a powerful source. Thank you for reminding me. Love you. Thanks for your love and see you soon. Thanks Josh, hope your doing well. Enjoy the conference and thanks for the comments. Thanks Karen. Yes we will miss Bruce he is a great guy. I’m so sorry for your loss of Bruce, my friend – so sad. Even though this is a sad post, it’s also so encouraging to be reminded that one day there will be no more sickness, pain, death or anything else that causes sadness. You’re in my prayers, Phil. Thanks so much Bill, your prayers are truly appreciated and they are effective my friend. Unfortunately my friend, Steve and I won’t be able to visit on our trip. Praying for you and your family as well mate. May the encouragement and comfort you continually give to others be given back 100x by His Spirit.